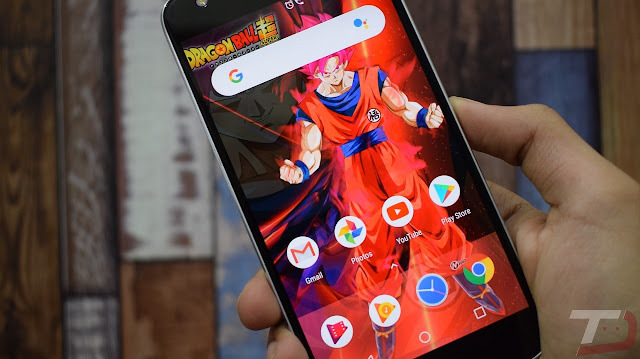 The Google Pixel 2 and Pixel 2 XL default launcher which comes with bottom search bar is now available to Download. 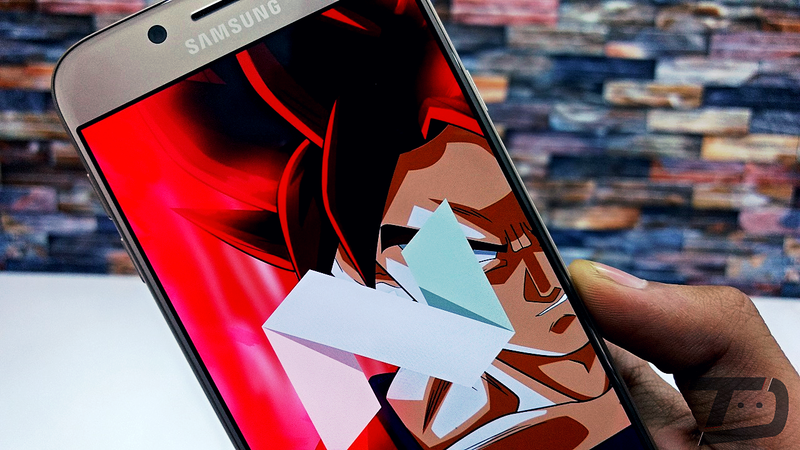 You'll be able to Install it on any Android Smartphone running Android 5.0 Lollipop and above. The Pixel 2 launcher comes with new features including the bottom Google Search bar, a Glance widget, and minor animation changes. Rest is same as the previous Google Pixel launcher. The APK weighs in at around 2.52 MB and can be downloaded from the below link. Note that to access the Google Feed which is available on leftmost screen you'll need to Install the below APK file as the system application. Recently Google updated its Wallpaper Application with Pixel 2 wallpaper and other interesting categories. Google Wallpaper will be the best complement for Pixel 2 launcher. 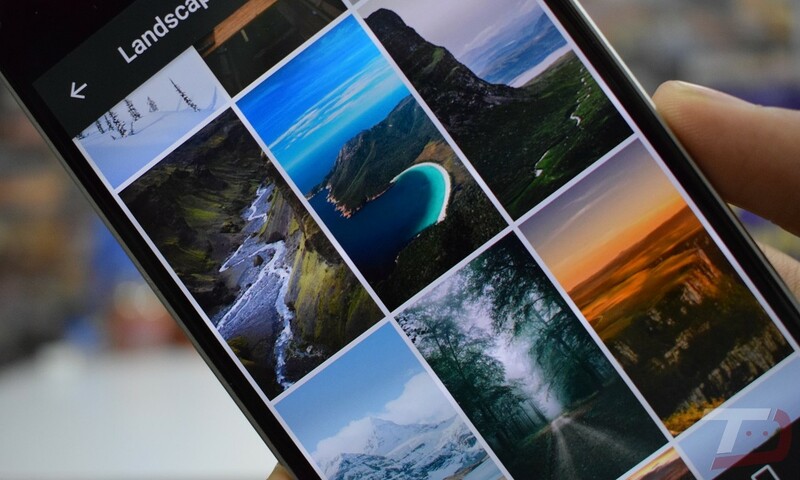 The standalone Wallpapers app for Android recently picked up an internal server update which bought new wallpapers and categories. While the application changelog (Play Store) mentions nothing about this update, there are some noteworthy changes in the app itself. Right after opening up the application, you can immediately notice a new category called 'Geometric Shapes,' which has all the colorful images. If you are a Google Pixel user, you can notice other two categories including Underwater, and Keep Looking. Additionally, there's a new Pixel 2 Cityscape wallpaper, but you’ll need a Pixel or Pixel XL to access that one. With the Wallpapers application, most of the Android users long search for a dedicated wallpaper service has ended and Google is regularly providing updates to the app. 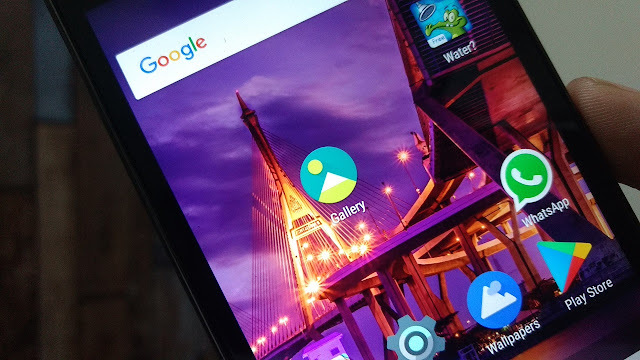 The most loved feature of Android is its ability to customize the home screen, icons, and appearance without Root. Just a couple days after Google's unveiling of the Pixel 2, Action Launcher has already been updated with Pixel 2-style search bar and looks. You can download it for free from the Google Play Store. However, to get the Pixel 2 Style Search bar, you have to upgrade to Action Launcher Plus (Paid). Once you've got the Action Launcher Plus with v29.0 update, go to Settings -> Quickbar -> Style. From here, you can select "Search box (dock)" to get the Pixel 2-style search bar right on your home screen. You can also adjust its contours, opacity, position, and other aspects. This App is available for all devices with Android Lollipop or higher version. 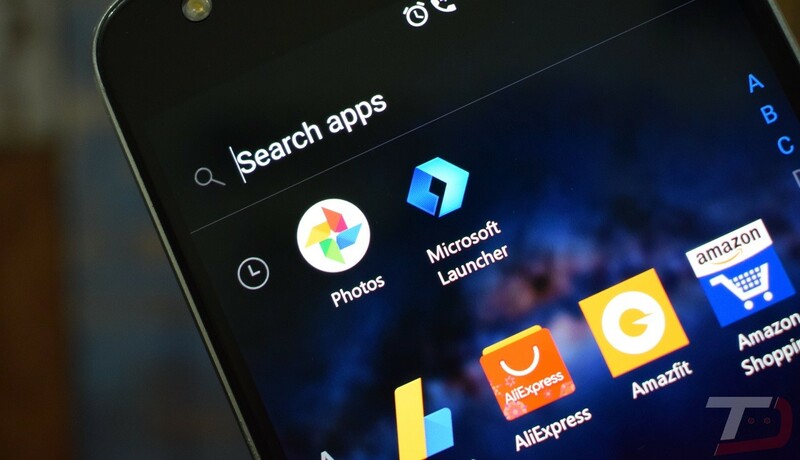 It's been two years since Microsoft announced the "Arrow launcher" and today Microsoft renewed it with new features, new interface, and name. Arrow Launcher is now Microsoft Launcher, a launcher which can be synchronized with your Windows 10 PC. It seems that Microsoft wants its presence in the Android world and Microsoft Launcher will be the best complement for its recently announced "Edge for Android" browser. With a Microsoft account or work/school account, you can access your calendar, documents, and recent activities in your personalized feed. You can even open photos, docs and webpages on your Windows PC* to be productive across all your devices. 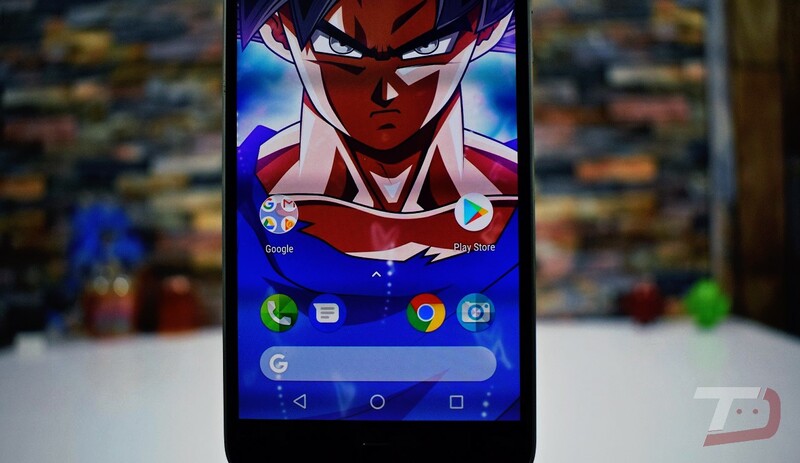 The Microsoft launcher offers new custom wallpapers, custom widgets, and a great variety of customizable gestures to open the application drawer, block the screen, open the browser, access the configuration or open applications. 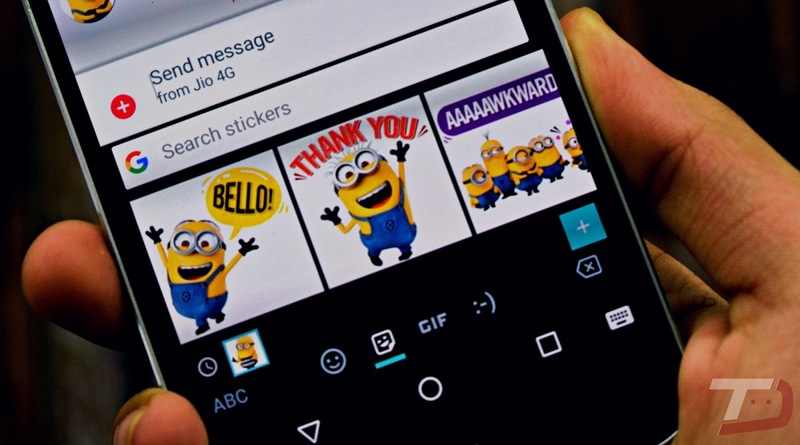 Emogi today announced thousands of animated stickers for Gboard, the popular Google keyboard which lets users search and share visual content. Emogi’s content enables Gboard users to express themselves with creative, messaging-first stickers featuring a range of emotions, holidays and current events. Additionally Emogi plans to update their Stickers for Gboard on regular basis so users can share the latest cultural moments and trends. Grab the Emogi application from Play Store. Google has launched "Tez" a new Payment Application in India for both Android and iOS devices. The app comes with tons of features, which lets you make payments and transfer money with ease. Send money home to your family, split a dinner bill with friends, or pay the neighborhood Chaiwala. Make all payments big or small, directly from your bank account with Tez, Google’s new digital payment app for India. With Tez, you can transfer money directly to your bank account. Simply link your account to Tez over UPI and instantly transfer money from bank to bank. It comes with enhanced Google’s multi layered security and 24/7 protection feature. You also get Tez Cash Mode, which lets you instantly send or receive payments to anyone nearby without sharing personal details like your phone number or bank account. You can also earn Tez Scratch Cards to win up to ₹1,000 with each transaction, ₹1 lakh every week with Lucky Sundays. You don’t need to hunt for coupon codes. Just use Tez and if you win, your rewards go straight into your bank account. 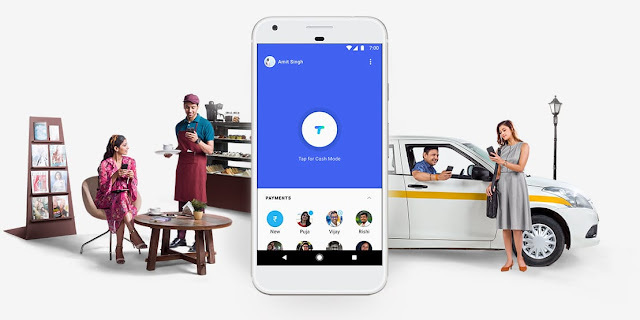 Google plans to update Tez Application with new features including Pay through debit and credit cards, and Pay and set reminders for recurring bills such as DTH in future. 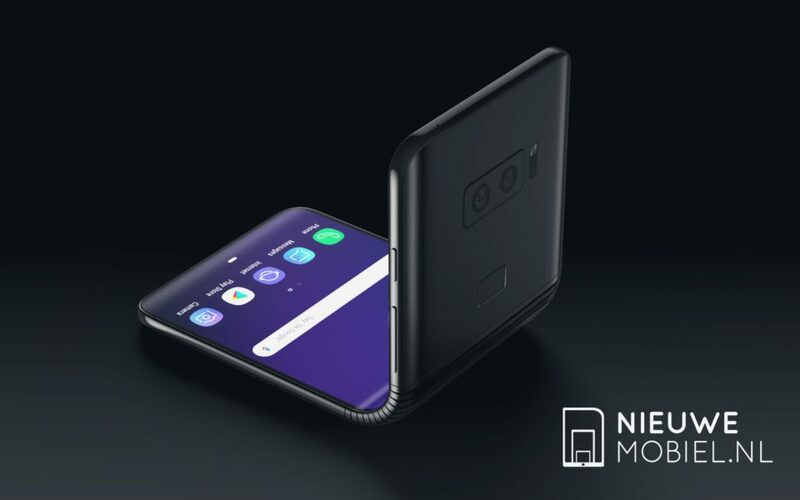 Just a few days ago, Samsung announced the beast Galaxy Note 8 with an Infinity Display, Dual-Rear Camera, and top-notch specs. It runs the latest Samsung Experience UI with Android 7.1.1 Nougat OS. The Galaxy Note 8 is the first Samsung smartphone to run Android 7.1.1. In case you want to get some taste of Note 8's UI, you can grab and Install the Ported Flashable ZIP file on your Samsung device running Android Nougat. The Zip file contains Phone and Contacts Incall UI, Browser, Clock, Calendar, TouchWiz Home, Edge Lightning, Task Edge, People Edge, S Finder, Samsung Themes Store, Smart Manager, Keyboard, Gallery, Calculator, Weather. You'll be needing Root and a Custom based recover in order to Install that Note 8 Zip file. Grab the Note 8 Apps (Flashable Zip) from XDA. 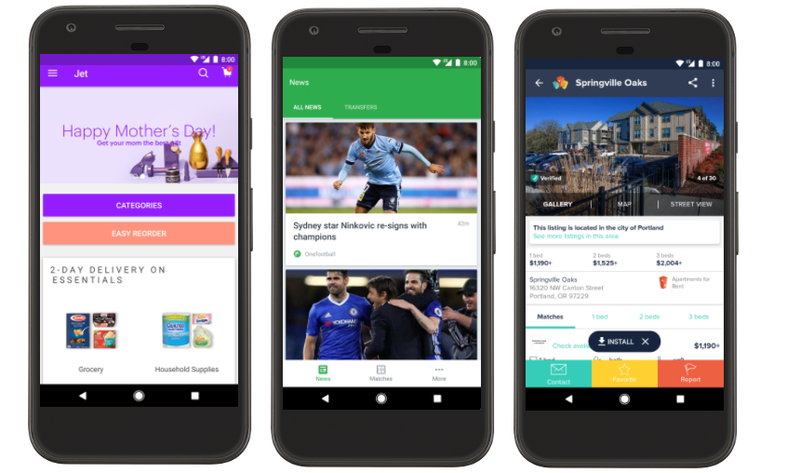 Instant Apps for Android allows users to run apps instantly without downloading an app from the Play Store. 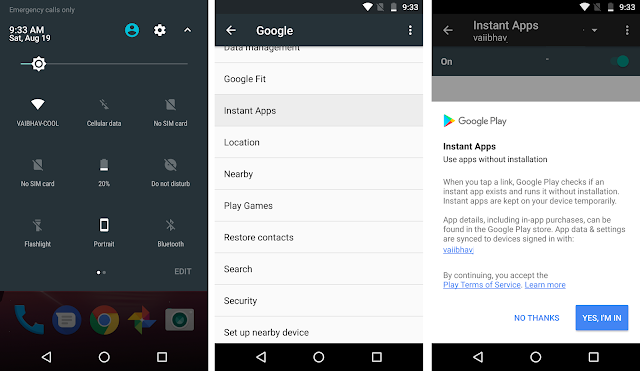 The Instant Apps feature is only available for users running Android Marshmallow and above. Google says that over 500 million Android devices can access Instant Apps feature, but you need to enable it using the below Guide. 1. Open Settings Application on your Android Smartphone. 2. Scroll down and tap on Google. 3. Tap on Instant Apps. 5. Confirm you agree to the terms by tapping, Yes, I'm in. That's it! You can now access the Instant Apps on your Smartphone from any URL including search, social media, messaging, and other deep links without needing to install your app first. Right now, there are over 50 apps compatible with Instant Apps, including Jet, Onefootball, Hotpads, Citymapper, Realtor, Vimeo, dotloop, NYTimes Crosswords and many more. 1. Go to a Google search page. 2. Enter your search term, such as Jet or Vimeo. 3. Tap on the first result. 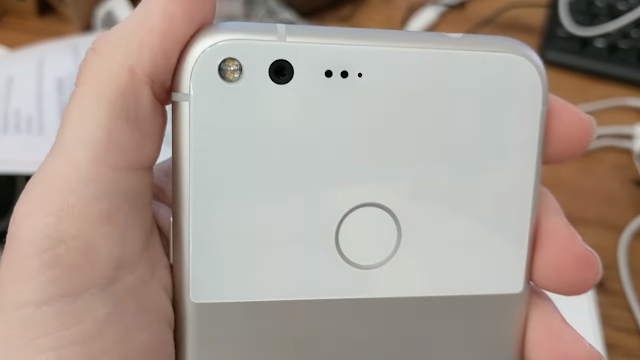 Just a day ago, we reported that a XDA member has ported Google Pixel Camera Software with HDR+ Feature to other Android Smartphones that uses a Snapdragon 820, 821, or 835 processor. Well, here's another development that might interest you. Reddit User AmirZ has modified the Ported Google Pixel Camera Application to shoot 1080p at 60FPS (60FPS produces great slow motion shots). Again, the Ported+Modified Camera will surely work for Samsung Galaxy S8, Moto Z2 Force, Moto Z, LG G6, OnePlus 3/3T, OnePlus 5, and all the other Smartphones with similar processor. You can download the Google Pixel's Modified Camera Application from the below link. The developer has verified the application and it doesn't contains any malicious code and whatsoever. Enjoy! If you think your Android phone is safe then you need to think again, mobile phones are never completely safe! You never know when it can be hacked via some hazardous site, or by hackers, or other types of security breaches. Criminals have always been able to show unlimited ability to spit out malware and scammers are constantly around, trying to generate new phishing locations to access your private information. Because your Android phone most likely grasps all your personal data, pictures, important numbers, emails, PINs and over, so it’s necessary that you start taking seriously your Android security and all this information and, it may be a worthy idea to protect your mobile with security software. There’s some discussion about whether you need a security system app for your Android. But everybody has agreed that malware has fully developed into a much bigger threat in recent years. Fortunately, security apps have upgraded radically to keep up with the new dangers. Below you can find a review of Bitdefender Mobile Security, one of the most popular security apps for Android. Bitdefender isn’t a new company and Bitdefender Mobile Security for Android has been available for years, offering internet security that has again and again been applauded by publications such as PCMAG and CNET. To start out, the app can be installed from the Play Store for a 14-day trial at no cost, which should be useful for you to choose whether you want to purchase a license key for it or not. The app’s size is also pretty reasonable at 6.38 Mb, which means the installation can be done on low-end Android phones too. With this latest feature, you get to see whether your email account details have been leaked or not. Is your account still yours? 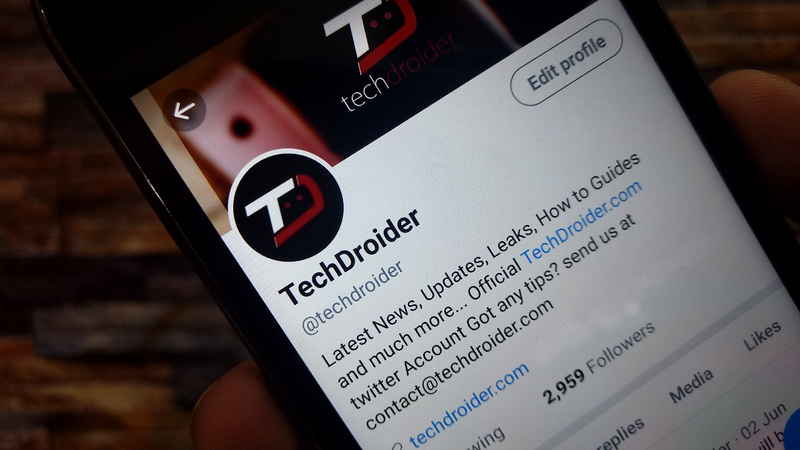 You can simply validate your email address with the app and Bitdefender Mobile Security will run a check to discover if your privacy has been breached. The Anti-Theft feature ensures that you can locate your phone without any internet connection through Web control and SMS control. 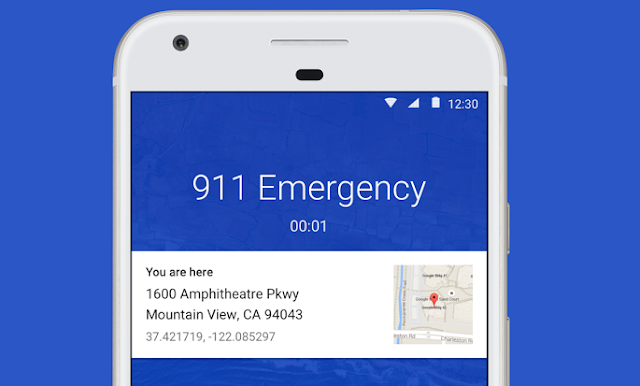 It remotely locates, locks, wipes or sends a message to the Android device. 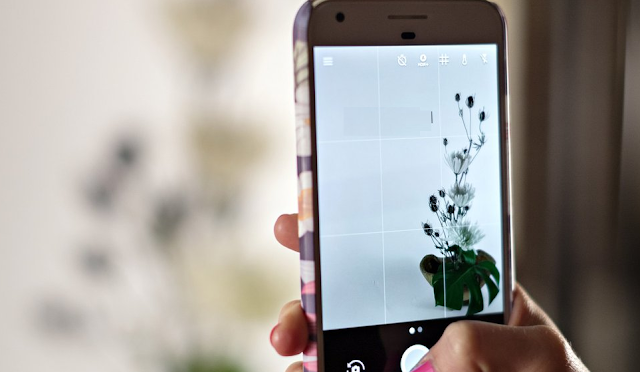 Your phone will snap a photograph of anyone who attempts to interfere with your phone in case of your absence, and send it to Bitdefender Central. This feature protects your mobile’s browser from loading up websites and URLs which contain malware or privacy threats. App lock simply protects your apps from unidentified threats using a PIN code. Now you can surf the web and use social media without risks. In case someone tries to get your PIN, there will be a 30-second timeout break after each 5 repeated ‘wrong’ attempts. There’s also a Fingerprint Sensor Support system which enables you to unlock the phone with the tip of your finger via smart sensor support. Recently, Bitdefender extended Android Wear smart watches in addition to its Mobile Security system. You receive a watch screen alert when you get too far from your mobile, while another alert makes an out-of-place mobile “scream” for easy tracking. 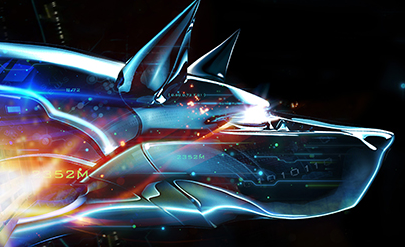 Bitdefender Mobile Security is a wonderful choice when there’s a need for malware protection. It proposes one of the best anti-theft and privacy protection outfits for the reasonable cost of $10 per year. It’s a good antivirus with an ultra-light package of innovative features. Google Pixel has one of the best Camera Software which can shoot amazing Photos and that's one of the reason why it received top tier scores from DxOMark. One of the Interesting feature that you will find in Google Pixel's Camera Software is the ability to use HDR+ Mode. HDR+ produces stunning photographs without the need to learn manual photography or edit RAW images. Thanks to XDA developer B-S-G, who modified the Google Camera app from the Pixel with HDR+ mode and got it to work on any phone that uses a Snapdragon 820, 821, or 835 processor. This includes the Samsung Galaxy S8, Moto Z2 Force, Moto Z, LG G6, OnePlus 3/3T, OnePlus 5, and all the other Smartphones with similar processor. You can download the Google Pixel's Ported Camera Application from the below link. XDA has verified the application and it doesn't contains any malicious code and whatsoever. Enjoy! If you are currently buying a video converter or video editing tool, WonderFox DVD Video Converter is unquestionably worth giving a try. It's one of the very efficient video converter utilities I have tried so far. Read this review to find out more about this tool from WonderFox Soft Inc.
⦁ Convert Your DVDs to PC safely and efficiently. With the development of technology, more and more people are inclined to watch movies on pc or any portable devices. But here comes question-how to convert the movie to pc? Luckily, WonderFox DVD Video Converter is the best efficient and safe tool that can give you the best solution. It can decrypt some advanced protection technology such as Disney, Paramount, Sony, etc. It detects the main title rightly and filter unnecessary information for instance slide show, advertisements and more. ⦁ Support Numerous Output Formats. As we all know, different devices have different formats thus it is possible to meet the compatibility problem. WonderFox DVD Video Converter supports numerous output formats such as AVI, MKV, MPEG, MTS etc. Meanwhile, it can convert DVDs to any audios such as ALAC, FLAC, MP4 and more. This software also supports some devices such as Samsung, HTC, Lenovo etc. This software also provides some extra functions for users’ editing, such as you can add subtitles as you wish, but you should download the subtitles from websites. At the same time, you can crop and clip the videos if you want, or some special effects can be added on the videos. ⦁ Download Hot Videos from Websites. DVD Video Converter can download any hot video from websites such as Facebook, Twitter and Vimeo. This operation is easy to use-you just need copy the video link and paste it to the download interface, it can be finished automatically. How to Use WonderFox DVD Video Converter? Step1. You should download the WonderFox DVD Video Converter from here and install it on your PC. Step2. You can use the software to add files, load DVDs or download videos. For example, I load the movie“American Sniper”. I just need to click the“Load DVD” button and the main title can be detected rightly. Step3. After setting all the options, click “Run” button to get the conversion process started. By finishing the whole process, you've already converted the DVD successfully; and now, you can enjoy the DVD videos on your devices freely, with nice video image quality (HD standard). Conclusion: The DVD Video Converter is the all-in-one software. People who have troubles in backing up DVDs, converting video, downloading YouTube video would definitely regard this software as the best solution to their problems. DVD Video Converter would never disappoint you. Turecaller, the ultimate dialer application which comes with features, like Caller ID, reverse number lookup, and spam blocking and reporting has now updated its application with new features. The new video calling feature allows iOS and Android users to make video calls directly via Google Duo. 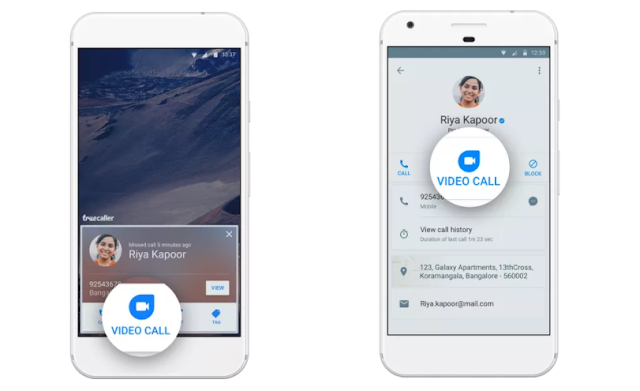 Users will be able to launch a Duo video call with a single tap within the Truecaller application and can switch between WiFi and cellular data for uninterrupted conversation on-the-go. Along with the Dual Integration, the new update also Reduces memory usage and app size, adds SIM indicator to caller ID, allows pasting a number into dial-pad, and Fixes right-to-left languages. Of course, In order for the Duo integration to work, both users must also have the Google Duo app installed on their phone. 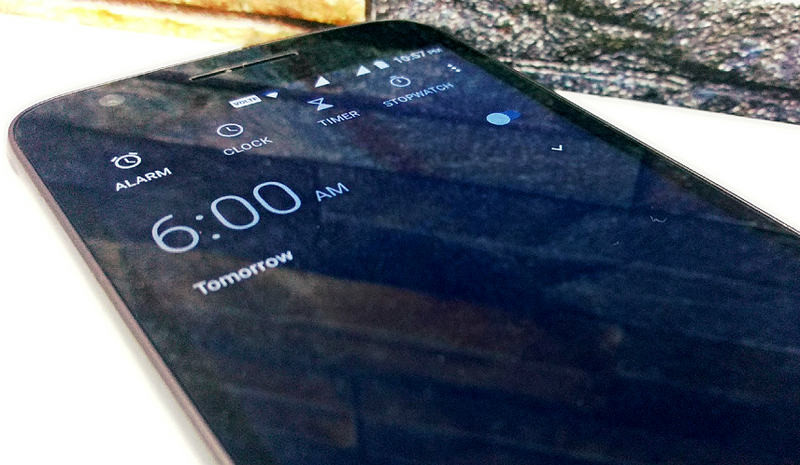 Google has updated its Clock Application with new icon and background theme. The latest Google Clock version 5.1 includes a new dark background with Android O support. The background is now all dark instead of purple, the Add Alarm button has now turned into blue replacing the red color. You can download the latest update right now by going to the Google Play link below. A few weeks back, OnePlus accidentally launched the OnePlus launcher on the Play store and then pulled it back just after few hours. Now the OnePlus Launcher is is back again and can be downloaded from the Play Store. OnePlus launcher features a lot of influence from Google’s Pixel Launcher. Also, it is only available for the compatible OnePlus devices. WYSIWYG Settings: WYSIWYG - “What you see is what you get”, OnePlus launcher provide options in the most intuitive way. You always can preview the changes before you apply them. Just a glance, stay cool, no need to check it again and again. Organize your life in Shelf: Shelf is a space that only reserved for you. Basically you can place what you want in it and make it your own way. Also we make something special for you such as weather info, quick notes and recent launched apps. Hopefully a simple swipe can help you find all you need for the whole day. Secret gestures: Under the options, we preset gestures for you to quick access notifications and the search. Try swiping up or down on your home screen and you will like it for sure. Customize your icons: OnePlus launcher support a wide range of icon packs. You can change them simply by a tap in options or drag an icon to the top. In addition of our default icon packs, there are hundreds of icon packs on the market for you. Download your favorite ones and give them a try. Google's Phone app, which is only available for Pixel, Nexus and Android One devices is now getting a new update with version 10.1. This update adds new security features, improvements, and other bug fixes. The Emergency location display feature adds a location card when dialing an emergency phone number like 911 in the United States. The card contains current address, exact coordinates and a small map for precise location. The update also features call waiting improvements for accepting second calls and ending ongoing ones and other bug fixes. You can download the latest update from the Play Store. Note that the Application is only available for Google devices running Android 6.0 Marshmallow and above. Last year, Motorola ditched the Moto Gallery Application in favour of Google photos, and most of the users were upset with this decision. Well, the Moto Gallery is Back with a brand new round Icon. Earlier this month, Motorola started updating most of its devices to Android 7.1.1 Nougat, which comes with Brand new round Icons and other interesting features. 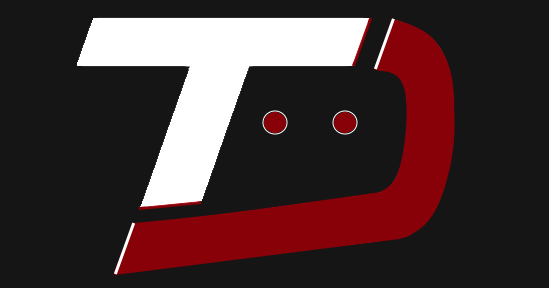 So, XDA devs modified the Moto Gallery to give it Motorola's own style. TigerCourage (XDA member) modified the ported Gallery and changed the icon to be round just like the new Moto icons, while Abhishek Sharma highlighted reels and enabled people tag feature. You can download the latest Moto Gallery Application from the link below. Just Install it normally, make sure the Unknown Source Option is selected in the device Settings. The default OnePlus launcher, which comes pre-installed with the OnePlus devices was listed on the Play Store in an unreleased beta state, unfortunately all of the beta slots were full that time. Additionally OnePlus took down the listing from the Play Store. 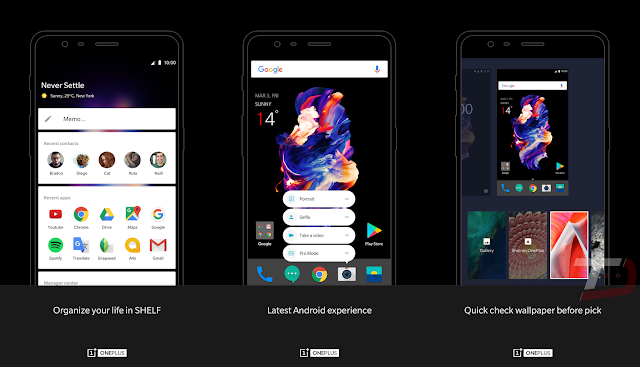 That Said, the OnePlus launcher features a lot of influence from Google’s Pixel Launcher. Since the beta was already full, and the listing has been taken down. We'll let you know once the OnePlus launcher goes live again on the play store. 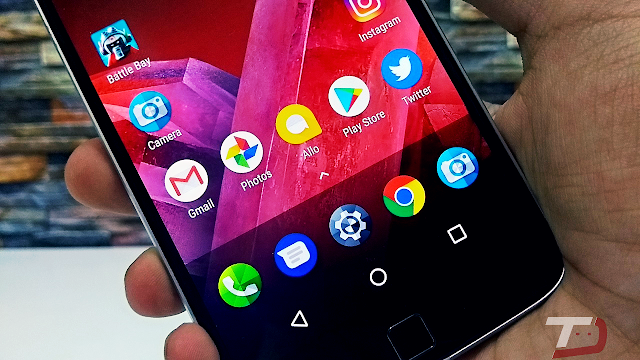 Well, Android 7.1.1 Nougat Software update for other Motorola Smartphones do brings latest System icons but you will not be getting any new default Pixel-like launcher. However, You can now download the Official Moto App launcher, sideload, and get a taste of Pixel-like launcher with Google now Integration. Thanks to XDA member, Junior Passos for uploading the Moto App launcher from the Moto Z2 Play. As a warning and reminder, we are not the providers of these files and cannot assure you that they are safe. But, the launcher works perfectly on our Moto Z Play running Android 7.1.1 Nougat and Moto G5 running Android 7.0. Let us know in the below comment section if the Moto App launcher is working perfectly on your Moto device. 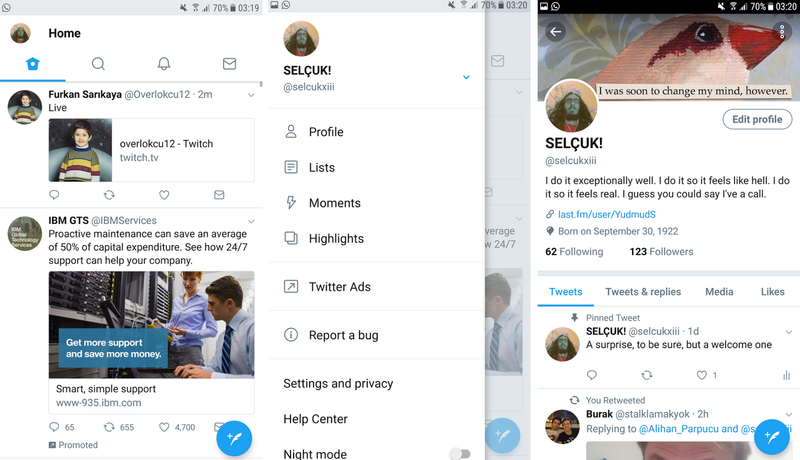 A new update is now available for Twitter beta testers and surprisingly this update revamps the whole UI, rounding everything. The update is available only for Twitter 7.0 (Beta) through a server-side change. So, it might take a few hours for beta testers to get the new twitter UI. With this new update, icons are more rounded, increased font size, there's a new retweet icon, profile pictures are circles now, the header photo is gone from the menu, it also rearranges the options in the menu. The new UI looks pretty good, you can easily opt in for twitter Beta by following the below steps. Visit this link and click "Become a Tester" to opt into the program.